In 2012, the Democracy at Work Network (DAWN) was approached by Kiva Zip about being a pilot trustee for its direct micro-lending program. Kiva Microfinance began in 2005, a non-profit that collects funds online from individual lenders and offers loans to individual entrepreneurs abroad. Since inception, it has made more than 1,000,000 loans. These loans rely on in-country field partners to administer the funds. Kiva launched its newer Zip program in order to loan directly to individuals, asking only that a “trustee” vet applicants and vouch for their credibility. As of this past March, Kiva lenders may use their credits for loaning to Zip borrowers – a huge opportunity since Zip had only 2,000 lenders while Kiva’s main site has 900,000. To apply for the loan, TeamWorks, a cooperative of home cleaners based in San Jose, Ca., prepared a detailed financial plan including historical statements, projections, and description of their intended use of the funds. Two members, Adriana Sanchez and Alejandra Baltazar, each applied for a one-year, $5,000 loan, making the co-op’s total $10,000. DAWN assessed the plan and helped TeamWorks refine both the numbers and supporting assumptions. Once DAWN endorsed the loan, Kiva approved the applications and both loans appeared online by mid-January 2013. TeamWorks brainstormed with DAWN about how to promote the loans, relying heavily on both organizations’ email networks and social media. TeamWorks members also wrote personalized letters to their clients. Sanchez and Baltazar were each highlighted with her own webpage on the Kiva Zip website. Within nine weeks, both loans were fully funded by individual lenders and Kiva Zip disbursed the $10,000 to TeamWorks via PayPal. TeamWorks began installment payments one month later - a quick turnaround, but at an interest rate of zero, very affordable. Kiva Zip loans are not advertised as “revolving,” but a borrower who successfully repays a $5,000 loan then becomes eligible to borrow $10,000. For TeamWorks, the cash came just in time. “We used the loans as working capital,” explains Ingrid Hernandez, a manager at TeamWorks. The co-op had already invested in the management team in July 2012 by adding part-time assistant manager positions for certain cleaners to take on personnel, billing, and other administrative responsibilities. Until the Kiva Zip loan, they’d been using the interest-free period of a credit card to cover the increased expenses. “But we would not have been able to cover health insurance for the cleaners with the credit card,” says Hernandez. “Now all the cleaning teams are at full capacity. We will probably recruit another team in 1-2 months.” That additional team would create two new jobs and bring in more revenue. Furthermore, TeamWorks is achieving something many worker cooperatives do not: intentional growth. Cleaners are learning skills applicable to other parts of their cooperative. Both efforts set an example. First, TeamWorks is demonstrating that a resource-constrained co-op with little access to capital can creatively fund expansion. Second, they are transitioning from a founder-led era to a phase during which members are gradually taking on more leadership and power. The primary weakness of Kiva Zip’s particular structure is that it lends only to individuals, not to organizations. This presents both a philosophical and logistical dilemma. Ideally, Kiva Zip donors would understand that they are supporting a group of owners rather than a sole entrepreneur. While the webpage does include details about the cooperative, Kiva’s layout visually emphasizes the individual borrower. Logistically, each loan is linked to an individual Paypal account and email address. 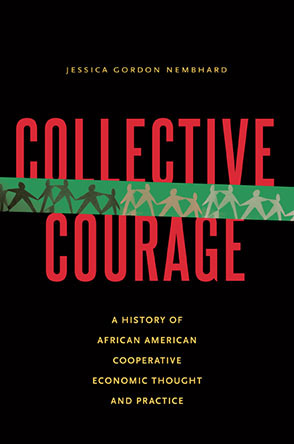 Both of these details ignore the unique group aspect of a cooperative. A Kiva Zip loan would not be every co-op’s dream. It’s a fair bit of work for money that, while zero interest, requires the first repayment within one month of disbursement – essentially the opposite of patient capital. The application is extensive and requires that a cooperative be able to produce clean financial statements and projections. The application also required a heavy time investment from DAWN as trustee. “This amount of due diligence elsewhere could ask for $50,000,” explains Hoover. “It’s most appropriate for co-ops with limited access to capital sources” for reasons such as credit history, lack of assets, etc. On the other hand, co-ops with a strong network would likely be able to reach out and fund a loan fairly quickly. For Hernandez at TeamWorks, the loan seemed fast, obtained with little cash expense and no legal details. “It was easy to use once it was approved,” she says. “[Kiva staff] even gave us tips on utilizing the comments feature” to attract donors’ attention. As a pilot underwriter, DAWN chose not to endorse any start-ups. This was primarily to reduce risk but also because current members of the U.S. Federation of Worker Cooperatives are a ready pool of potential borrowers. A Kiva Zip trustee like DAWN is not financially liable if a borrower pays late or defaults, but over time, Kiva Zip will no longer work with a trustee who has a history of endorsing borrowers who default. In order to draw defensible conclusions about the Kiva Zip pilot, DAWN would need to recruit more cooperatives to borrow. Kiva Zip requires that a trustee in pilot status endorse three borrowers in order to graduate to their next tier. Once those three borrowers have made 10 monthly payments (collectively), DAWN could endorse up to 10 borrowers. The TeamWorks loans, perhaps the first of many to worker cooperatives, has served to teach DAWN the steps and potential snags in the processes of the underwriting, funding, and repayment. The micro-lending strategy cuts across co-op sectors to try to bring co-ops into the sphere of socially responsible investing. The scale of opportunity far outweighs funding currently targeted to cooperatives – but co-ops also set a higher bar compared to what’s demanded of “socially responsible” companies. As Hoover puts it, “The challenge is that neither the lenders nor the individual donors really understand worker co-ops. But that is also an opportunity.” Based on the comments posted online by Kiva Zip donors, several lent to TeamWorks specifically because it is a cooperative. After putting more co-ops through the Kiva Zip pilot, it would be fruitful as well to compare the experiences of these borrowers with those of worker co-ops that have used donation-based crowdfunding sites (e.g. Kickstarter, indigogo; gofundme). Did they obtain the requested funds? Were they able to comply with the rewards they promised? Regardless, hearing from both groups would make a great panel at a future conference. Jessie Myszka is a DAWN-certified Peer Advisor and has been a worker owner at Equal Exchange since 1996. Participating with DAWN’s pilot with Kiva Zip has been a great way to combine her background in Sales (seven years) and Operations (nine years), serving on the board at a consumer grocery cooperative, and volunteering locally with community development for small businesses. Kickstarter Request: Please Support "Shift Change: Putting Democracy to Work"